On April 18, 2006, the PBOC, CBRC and SAFE, under the approval of the State Council, jointly issued The Interim Administrative Measures for Commercial Banks to Provide Overseas Wealth Management Services, which allowed domestic institutions and residents to invest in overseas financial products by entrusting a domestic commercial bank, marking the overall introduction of the long-awaited QDII (Qualified Domestic Institutional Investors) system in China. In the meantime, relevant measures provided that a custody mechanism must be introduced for the operation of QDII business. Soon afterwards, some commercial banks, fund management companies, securities companies and trust companies were granted QDII qualification and investment quota in succession. vi. Other institutions approved by regulatory authorities. ICBC provides domestic institutions with comprehensive, professional and quality QDII custody services, including basic custody services and value-added custody services. (13) Other services: other services required by regulators. (8) Other services: other customised requests proposed by QDII customers. Over the years, the early involvement and in-depth research on QDII custody services by ICBC has made the bank maintain a leading position in the banking sector in terms of such business. 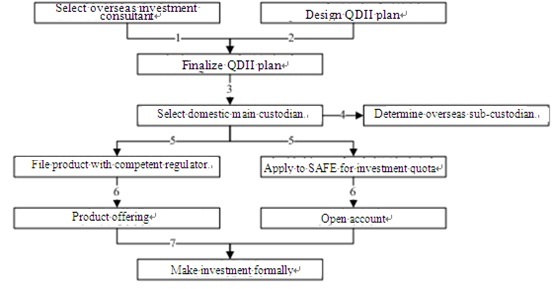 It has successfully provided custody services for several “first” products, including: the first domestic overseas wealth management product of commercial bank (banking QDII product) – BOC USD Enhanced Cash Management (September 2006); the first domestic QDII product of fund company (fund QDII product) – HuaAn International Allocation Fund (November 2006); and the first domestic stock QDII product of fund company – Southern Global Selected Allocation Fund (September 2007). As the largest custodian bank in China, ICBC has maintained its leading position in the market for 18 consecutive years in terms of market share of asset custody business. It is also the most professional custodian bank in China, with an advanced custody service system independently developed by it. The system has obtained ISAE3402 authentication (formerly known as SAS70), the first one of its kind in China, indicating that ICBC’s internal control of custody services has met international standards.